In an analysis of Charlie Sheen’s revelation that the actor is infected with HIV, Christian social apologist Scott Alan Buss pretty much blamed that development on all Christians. Will Refugee Crisis Exacerbate Obama’s Messianic Psychosis? In remarks overseas, President Obama categorized opposition or even reluctance to admit swarms of Syrian refugees to the United States as offensive and needing to stop. The free speech of actual Americans is a higher constitutional priority than granting entrance to those who are not. Would he be as brave if he was not surrounded by multiple layers of security? White House propagandists have developed a social media hashtag welcoming refugees. Will these migrants — either vetted or unvetted — be allowed to congregate unrestricted in the vicinity of the First Family? The President and his decreasing number of supporters in Congress insist that welcoming refugees is an American tradition. At one point, so was marriage only being between a man and a woman. Liberals certainly didn’t mind altering that to suit their policy agenda. In his support of flooding American cities with potentially Islamist refugees, President Obama asked are critics afraid of widows and orphans. However, it must be remembered that Islamic societies do not necessarily gage the age of majority in the same manner as Western ones. After all, it must be remembered that many of these savages think nothing of marrying nine year old brides and deriving carnal pleasure from them in the same manner mentally healthy men do with woman around their own age. In an attempted compromise, a number of Republicans have suggested that perhaps a system could be implemented granting verified Christians resettlement priority. The President insisted such a religious test was an outrage and unacceptable. However, it is more of a humanitarian gesture than what Saudi Arabia is even extending to fellow Muslims, none of whom will be allowed into that desert kingdom but for whom mosques will be gladly built in Western lands as part of their religious obligation of planetary subjugation. If religion is not to be taken into consideration in determining refugee status, why is the Obama administration denying it at a higher rate to Christian applicants than Islamic ones? It is generally considered bad form at best and borderline treason at worst for Americans to criticize their nation or even its leaders while on foreign soil. As such, shouldn’t a similar standard apply to the President as well? REI (think Cabella’s or Bass Pro Shop for beatnik hipsters but less fun) is foregoing Black Friday by closing its doors and even postponing digital orders that day altogether. Won’t those wanting overpriced outdoor gear simply show up then? If REI really opposed the idea of people blowing their money on junk they really don’t need, wouldn’t the company close its doors forever and simply go out of business? Our Church and Ministries Fiscal Year runs from November 1st through October 30th. Must be paid in full, before any electronic documentation will be issued. Unless otherwise agreed upon and arrangements made. All accounts must be paid in full at the time of order or registration. No Exceptions! Note: Your Certificate will Include your affiliate Churches Patron Saint. 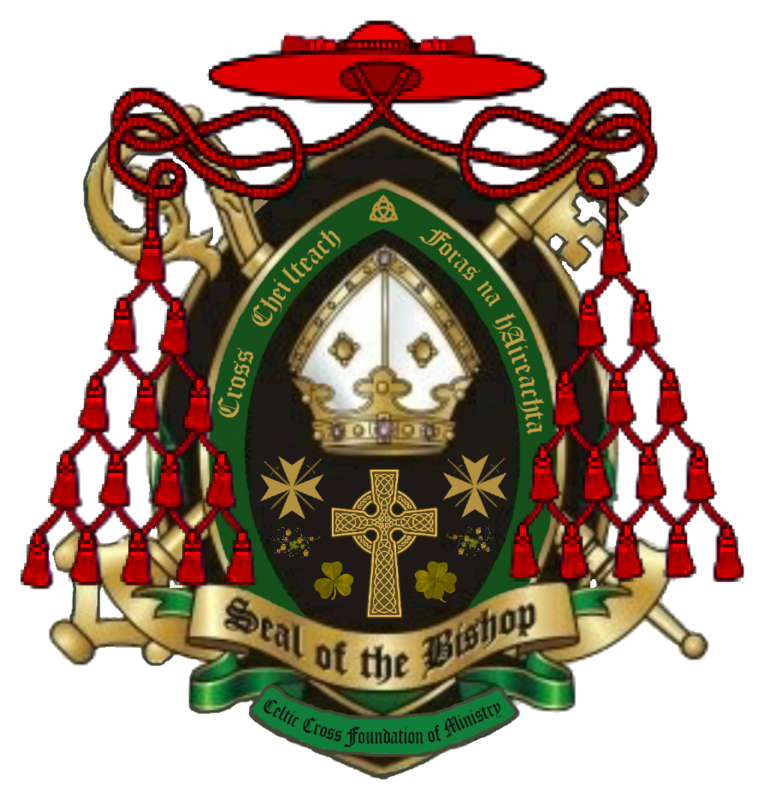 For the Men, Order of St. Andrew the First Apostle for the Evangelical Church of the Celtic Cross or the Order of St. Patrick of Ireland for the Canonical Catholic Church of the Celtic Cross or both if you are affiliated with both Church Plantings and operating as an active member of the CCFM Clergy. Note: Your Certificate will Include your affiliate Churches Patron Saint. 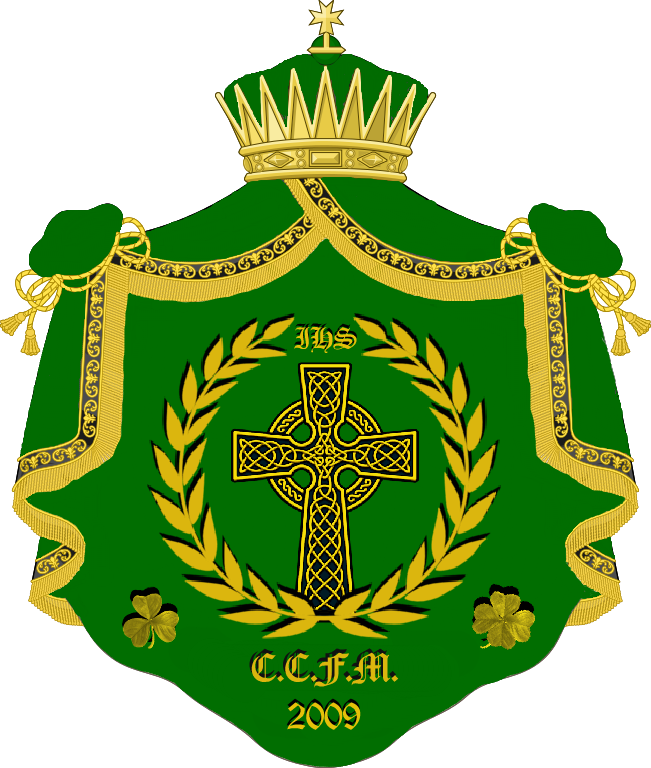 For the Women, Order of St. Mary Magdalene the Apostle to the Apostles for the Evangelical Church of the Celtic Cross or the Order of St. Brigid of Ireland for the Canonical Catholic Church of the Celtic Cross or both if you are affiliated with both Church Plantings and operating as an active member of the CCFM Clergy. All CCFM Clergy are required to take as many Courses / Subjects as they wish in our Continued Education Program. Reminder – all Directory added Clergy Dues are to be paid in Full by October 30th for the next coming years, Status of Good Standing. By Official Mandate of the Office of the Presiding Bishop of the Celtic Cross Foundation of Ministry. And here stated Administration and Record Keeping enforced by orders to take effect on the date specified. This entry was posted in CCM's Virtual Chapel, News and politics, Uncategorized. Bookmark the permalink. It would be a proverbial understatement to say that the death of Cecil the Lion at the hands of hunters touched something in hearts and imaginations around the world. The mark of a skilled theologian or apologist is the ability to take nearly any subject and try to view the topic through the lens of a Christian perspective. The Baptist Press of the Southern Baptist Convention attempted to do this in regards to Cecil the Lion in an article titled “Lion’s Death Occasions Defense Of Legal Hunting” by that news service’s chief correspondent David Roach. Overall the examination of the topic was quite balanced. On the one hand, the article recognized that the Bible allows for hunting in that man in this dispensation has permission to use the animals with which we share the world for our benefit and enjoyment. However, the article also pointed out that this activity must be undertaken only with a sense of solemnity and responsibility. The really discerning theologian goes beyond what is plainly said to shine light on that which might not be noticed so easily. Patterson was interviewed to provide a great deal of the article’s theological context. Of his analysis, one really can’t find much fault. However, it really should be pointed out that the variety of antelope depicted in the accompanying photograph aren’t known for a territory that overlaps geographically with the ecclesiastical stronghold of the Southern Baptist Convention in, well, the American South. That would mean that, in order to get within rifle range of such a creature, Paige Patterson would be required to travel a considerable distance. There is nothing inherently wrong or morally alarming about travel. It is, in fact, one of the great blessings of the contemporary era that people can travel in a matter of hours distances that in decades or centuries past would have taken days, weeks, or even months. However, the question must be asked. With what funds did the Pattersons travel to Zambia where they recreationally killed one of God’s creatures? Did these funds come out of their own pockets or were these collected under the banner of some grandiose missionary outreach effort for the purposes of reaching the lost in the forsaken corners of the Third World? Now, the missionary bordering on the fanatical blows into your church and drums up support for their overseas expedition by laying a guilt trip on the pewfillers as to how wretched the American culture and way of life is because the Land of the Free is not characterized by these Third World deprivations. By the time that the presentation is concluded, the donations are not collected so much to better the lives of the less fortunate but rather as some kind of penance for you having committed the sin of having been born in the United States. It is almost as if you are expected to thank these foreigners for accepting your money rather than the foreigners thanking you for your willingness to give. Even if Paige Patterson is as clean as the wind-driven snow in terms of how the funds were obtained to finance this hunting safari, the issue is not settled. For to Patterson the professional religionist, your money that you earn is not yours to do with as you please within the parameters of morality even after you tithe or slip a little into the collection plate. Rather, much of what you have is to be at the ready disposal of your ecclesiastical betters. Patterson has insinuated as such in a number of epistolary appeals. One of these letters is titled “Ten Things That We Owe Dr. David Platt.” These are essentially ten disturbingly cultish pledges Dr. Patterson believes Southern Baptists are obligated to undertake in relation to the denomination’s International Missions Board President David Platt. Propositions seven and eight are particularly relevant in regard to this issue at hand. So whereas you are expected to flagellate yourself over and over in your mind as to whether or not you really need that day trip to the beach this year, Paige Patterson and his son expended the resources necessary to fly themselves to Africa. For despite such near messianic fervor lavished upon David Platt, it is doubtful that even his most enthusiastic supporters are able to walk on water. Those conditioned to blithely accept nearly anything done by those anointed to these ecclesiastical offices will respond that Patterson might have been among the deprived heathen as part of some grand missionary undertaking. Surely such a servant of God has earned the right to relax in a manner of his own choosing. What such religious leaders are saying is that they hope to see you starving in the streets in the hopes that such suffering will break your will and bring you into compliance with the ecclesiastical elites. Don’t worry though. Such prominent fat cats will not only always eat well but will continue to enjoy the privileges you are obligated to deny yourself such as opulent vacations such as oh, I don’t really know, perhaps HUNTING SAFARIS TO AFRICA. It is doubtful anyone in the upper echelons of the Southern Baptist Convention eats from discount grocery chains. In fact, at one time Russell Moore penned an article sneering down his nose at those frequenting such retailers as a way to stretch their nutrition dollar. One must ask is he as critical of those that do not so much hunt as way to provide subsistence for their families but rather as an excuse trot halfway around the globe for mere pleasure? Paige Patterson is to be commended for his balanced yet eloquent consideration of the moral complexities surrounding the hunting issue. Let us hope that the leaders of the Southern Baptist Convention would be less pushy in those areas of life where the explicit oracles of God do not necessarily say as much as these theologians would lead those under their teaching to believe.